Prior to the beginning of this content, just close your eyes for once and think that ‘how many cloud services are you using daily in your life?’ At least Facebook, Instagram, Gmail, etc., are used by home or business users. A mixture of online services is managed by employers either for entertainment purpose or for any sort of business operation. The above scenario simply shows that cloud computing technology has been a boon to the millennial in today’s technical world. It not only provides cloud storage and management system but, also renders all time access over data stored on the cloud and that too from any geolocation. Only and only a proper internet connection is needed to use the content stored on cloud platform. But, when the question of safety arises, lots of cloud computing security challenges come in mind. None of the cloud users assure that he or she is able to keep sensitive data secure online. A ‘question mark’ kind of experience comes on the face of individuals when they are questioned that what are they doing for cloud data protection. It seems as if you are worried after the adoption of cloud computing technology in your premises? And thinking of switching back to the traditional IT infrastructure? Is it so?? See whether it is an on-premises infrastructure or off-premises, practices to keep sensitive data safe are mandatory in both cases. Of course it is possible to achieve prevention against cyber attacks but only at one cause – strong preventive measures need to be undertaken. Online data security can be achieved in an effective manner only if proper defensive strategies are implemented. Impose Proper Permissions and Maintain it – Initially keep sensitive data secure by imposing security policies on it. Only trustworthy employees of a business should be having right to use confidential files of the firm. Also, maintain a proper record in which you have to mention ‘Who all are allowed and not allowed to make use of sensitive data’. After this, if in case anyone requests the use of sensitive files for any purpose, initially check the purpose and then decide whether to allow him / her with the same or not. Business authorities need to make sure that sensitive files are not misused by the individuals who are granted with access permissions. Use Google Alerts for Accidental Leakage – Some of the unexpected and damaging breachings of sensitive data occurs when business officials unintentionally post the confidential content online. Recent example of this sort of scenario – ‘In the year 2017, one of the educational data warehousing industries misconfigured AWS storage bucket, which enabled public use of students records.’ So, in order to avoid this leakage, enterprise administrators can make use of strategic Google alerts for keeping an eye on the presence of secret data. Keep Sensitive Data on Cloud With DLP Policies – Never ever (even during the sleeping time) keep your sensitive data open on cloud storage. No matter whether the data is in use, rest mode, or in transmit state, you have to keep it encrypted all the time. If your sensitive data is encrypted on public or private cloud and gets in hand of hacker, it is of no use for that hacker and he will leave it, causing no harm at the end. This kind of scenario happened because when the sensitive data is encrypted and stored on cloud it is readable but, not understandable. Therefore, when an attacker encounter this kind of data, he found it useless for him because he is unable to understand the words. Security Tip – The administrator role does not finish after the implementation of security practices. It is his or her duty to weekly check whether these practices are strictly followed in premises or not. 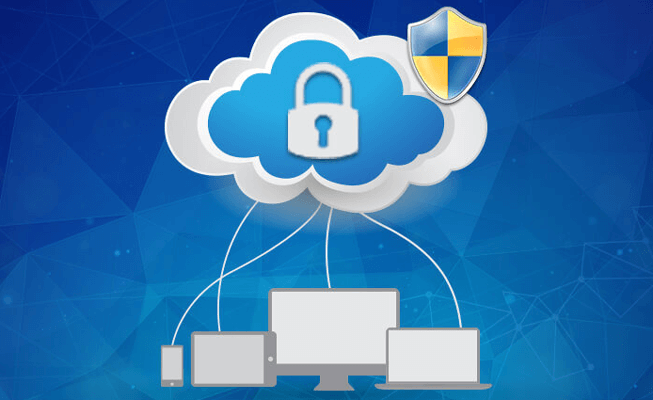 The best practices to keep sensitive data secure on the cloud are mentioned in this post. All these measures are manual and require continuous efforts of business administrator to achieve online data protection. One can reduce efforts up to major extent by choosing and adopting a suitable CASB service provider for their industry. The vendor provides automated software through which customers can automate the majority of security solutions and hence, focus more on other sorts of business works.